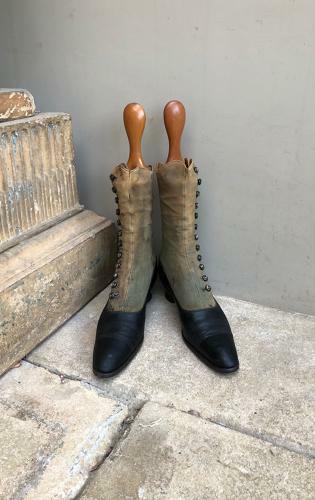 Absolutely Wonderful Victorian Lady's Boots with their Original Treen Shoe Trees. Boots, soles etc. all in fantastic condition with full set of original buttons. Shoe trees great too...Wonderful to Display. Post is Parcel Force 48 for £12.98..they are quite heavy.